On Monday January 28 the Flemish Public Broadcaster (VRT) launches a new television programme called ‘Homeland Security’. This programme gives a unique view behind the scenes of the Crisis Centre of the Belgian Public Service. 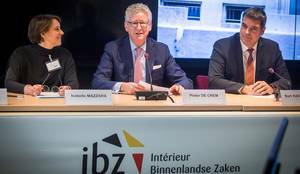 The Crisis Centre is the central information hub concerning security and public safety matters and is in permanent contact with the Belgian Federal Minister of Home Affairs & Homeland Security to enable him to take the right decisions. This morning the new programme was presented during a press conference. 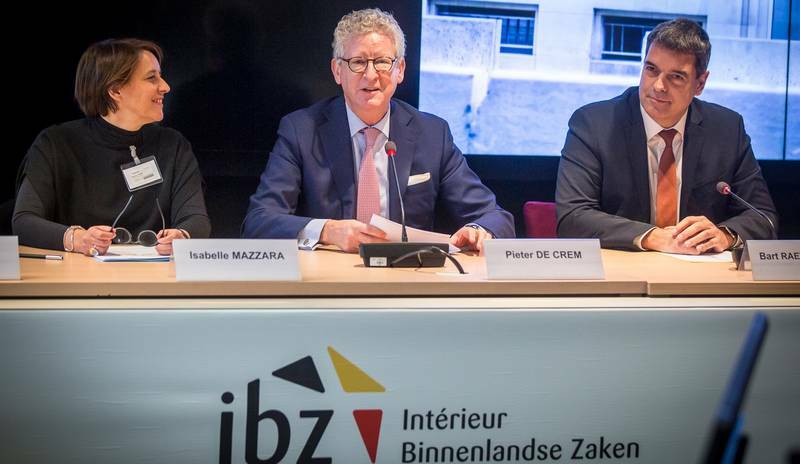 The making of is a result of an excellent and professional collaboration between the Crisis Centre, the Federal Public Services for Home Affairs and VRT. The producers succeeded in giving a very nuanced and accurate view behind the scenes of the daily activities and responsibilities of the Crisis Centre during events and activities that happened during the last couple of months e.g. manifestations where the public safety had to be guaranteed, big sport and music events, the security during international meetings (NATO, EU, …) and the welcoming of the Belgian national football team after the World Cup in Russia. “In the past thirty days I had the honour to meet plenty of people that are engaged to ensure your and our security. In all their diversity this women and men share the common mission to make our lives better and to make our living together safer. It’s because of the fact safety is a mutual interest it is important to make the daily efforts of police men, civil security and fire fighters visible. And because safety and security is a work by and for humans it’s essential to emphasize the elements the Crisis Centre has to take in consideration at the moment the pressure on their shoulders is uncomfortable high. For all these reasons it’s important to put faces on our common security”.